Orion NetFlow Traffic Analyzer (NTA) enables you to quantify exactly how your network is being used, by whom, and for what purpose. And our new advanced application mapping feature correlates the traffic arriving from designated ports, source IPs, destination IPs, and even protocols, to application names you can easily recognize. Orion NTA makes it easy to get a comprehensive view of your network traffic, find the bottlenecks, and shut down the bandwidth hogs. Real-Time Bandwidth Monitor polls your interface as frequently as every half second and reports real-time bandwidth usage on an easy-to-understand graph. Monitor multiple interfaces simultaneously and with ease. Set critical and warning thresholds to instantly see when usage is out of bounds. Monitoring a troublesome interface has never been so easy! Download your free Real-Time Bandwidth Monitor now! PacketTrap IT is a comprehensive and affordable network monitoring and IT infrastructure management solution. PacketTrap’s ease of install use combine with broad and deep monitoring capabilities to provide administrators with unprecedented visibility into the performance of the network itself, as well as the devices and applications running on the network. PacketTrap is able to monitor all the devices on your network, including routers, switches, firewalls, servers, desktops, VoIP, virtual servers and wireless access points. With PacketTrap’s own ptFlow technology you can monitor NetFlow, sFlow and J-Flow enabled devices, and even unsupported devices; ensuring that you can monitor traffic on all your network devices. The most common benefit PacketTrap users realize stems from our ability to pinpoint the specific problems on the network and see where its coming from. PacketTrap also provides automatically updated, easy-to-view network diagrams and advanced email and SMS alerts. Quickly investigate, troubleshoot, and remediate network slowdowns with Real-Time NetFlow Analyzer. Easily identify which users, devices, and applications are consuming the most bandwidth, and isolate inbound and outbound traffic by conversation, application, domain, endpoint, and protocol. With Real-Time NetFlow Analyzer from SolarWinds, you can personalize data displays to view traffic by specified time periods and traffic type. Customize refresh rates and display unites for Netflow traffic. This free tool from SolarWinds supports NetFlow V5 and V9, Juniper JFlow and sflow and records up to 60 minutes of data. 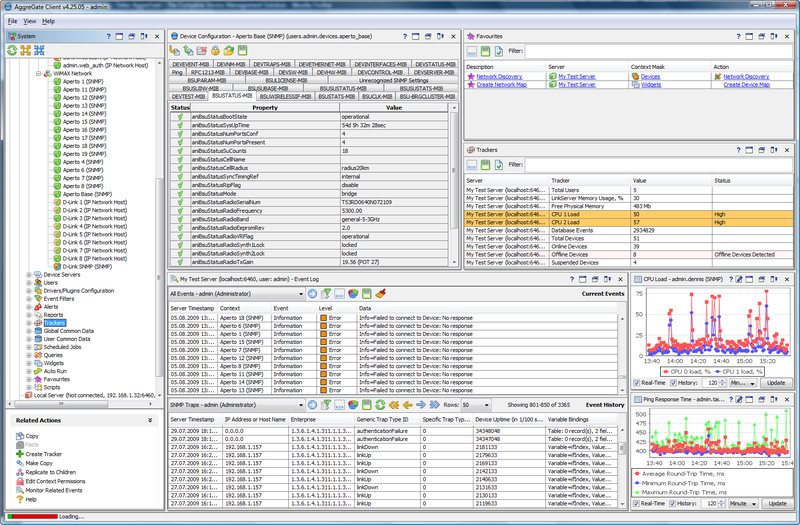 Download the free Real-Time NetFlow Analyzer today! The product contains: a proxy server that provides caching and blocks unwanted resources; a secure firewall to protect against network attacks; a billing system; system for the dynamic control of speed and sessions; blocking of excessive network activity; diversion and routing of traffic; mail gateway; integration with Active Directory; secure authorisation; web server statistics; remote access; reports. Network Monitoring Tools - OpManager Network Monitoring Software Tool for simple ping to complex SNMP checks, URLs to Network Performance Monitoring. Download Spiceworks' completely free network monitoring tool to manage and report on web traffic activity. *This is NOT a free trial, "freemium", or stripped down verision. * Spiceworks provides access to the entire software suite whether you're a one-person operation or you manage 1,000 network devices. And it's free forever - including live support and all product upgrades! In addition to a state-of-the-art network monitoring tool, Spiceworks software also offers free access to: a full-featured help desk, troubleshooting tools, asset management software, power management capabilities, and an online community of IT pros like you to answer questions, share tips, and solve IT problems. Download today - and share with your peers! 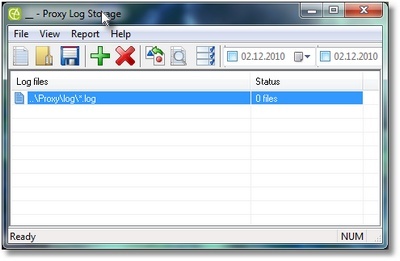 Proxy Log Explorer is the fastest and most powerful analysis application for monitoring the efficiency corporate Internet usage of your Proxy server. Proxy Log Explorer creates dynamic reports on-the-fly. Also, you can easily get virtually any subreport by just right-clicking the item you need and selecting the subreport you need. Needless to say, it can recognize log file formats automatically, extract compressed log files, process multiple log files and download log files from various sources: local path, Web or FTP.